Lost the fish scale top of a foot pad while out on the water on my old Futura. Any suggestions for a quick fix besides replacing the entire pad? Can you buy sheets of that material? Hard, cheap option - find a dead Starboard somewhere and cut the pads off, use scalpel and care it is not hard to do. Hard to find the donor board maybe. 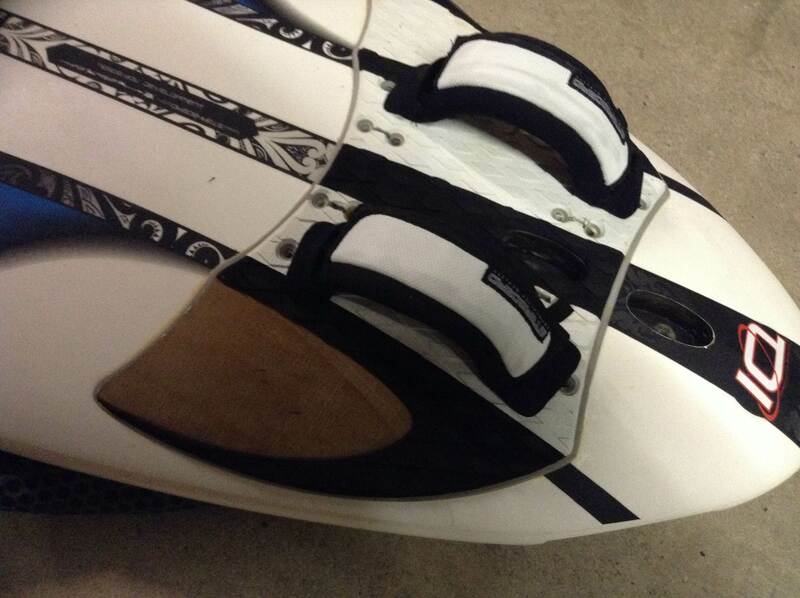 Buy a stomp pad at a surf shop, cut to fit. Peel the one off the other side and cut 2 new ones. Surf sail Australia sells similar ones in black by the sq metre. If you're stuck, I can send you some in black. Use selleys contact adhesive to stick them on. Bought that exact pattern and colour from Peter at Wind and Surf at Caloundra recently to redo an old Carve. Big sheet and reasonably priced. Didn't need to glue it, cut to shape, peel and stick.